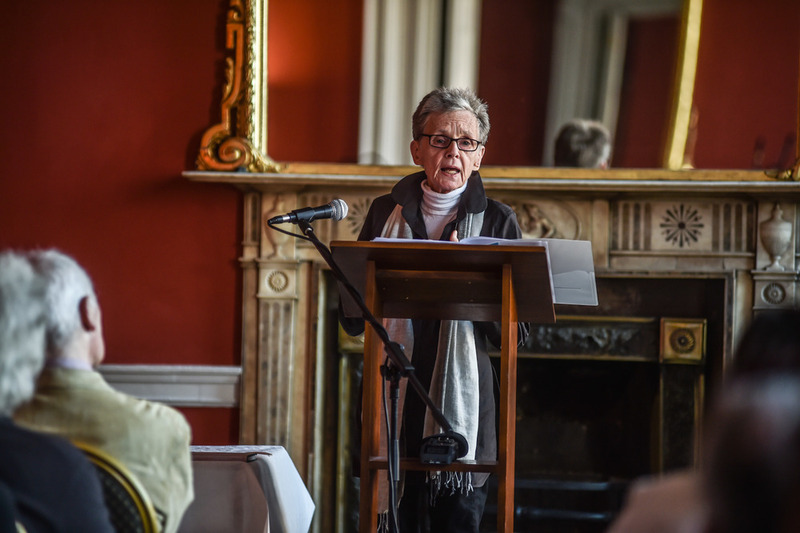 In June 2015, New Dublin Press produced 'An Evening with Susan Howe' in Belvedere House, Dublin 1. 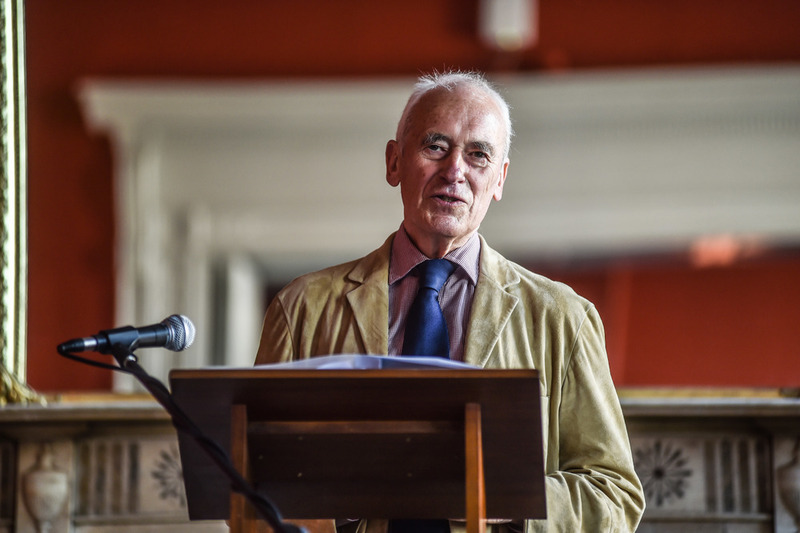 With the generous support of the James Joyce Centre, the Bloomsday Festival and the O'Reilly Theatre, NDP put together this Irish homecoming for Howe. Born in Boston in 1937, Susan Howe has deep roots in Ireland. Her mother was Dublin-born actor and playwright Mary Manning. In her early twenties, Howe spent time as an apprentice in Dublin's Gate Theatre before moving back to the United States and graduating from the Boston Museum School of Fine Arts, with a degree in painting. Over the decades, Howe has established herself as one of the most important voices in contemporary poetry. It was an honour to host her in Dublin. Along with her magnificent reading, we put together a seminar in Trinity College Dublin and an interview with RTE Radio 1, Ireland's national broadcaster. New Dublin Press also published a book to commemorate Howe's visit. 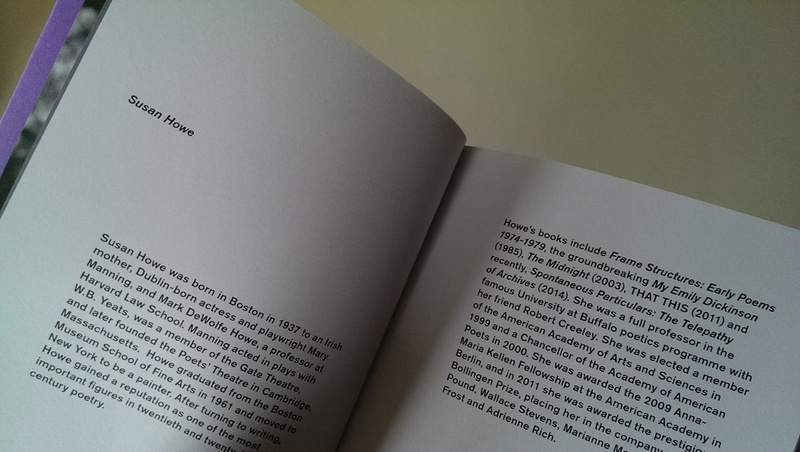 Regarding Susan Howe brings together an introduction by NDP editor and publisher Jonathan Creasy, a poem by Dublin-based poet Maurice Scully and an extended essay by Richard Deming, poet, senior lecturer and Director of Creative Writing at Yale University.